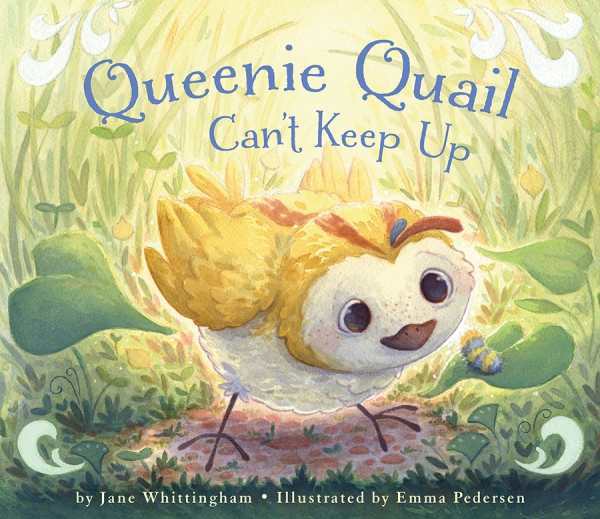 Queenie Quail loves to stop and smell the flowers—and chase the bees, watch the worms, and admire the butterflies—and so she’s always a step behind the others. Her observant curiosity exasperates her family until the day it saves them from a hidden danger. Spring colors abound in green grass and clover, fluffy yellow chicks, and indigo-plumed parents as the quails learn a lesson from their littlest one about appreciating the beauty all around us.